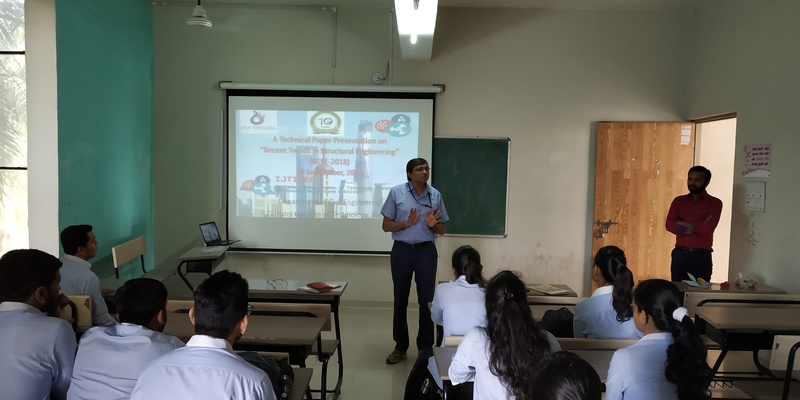 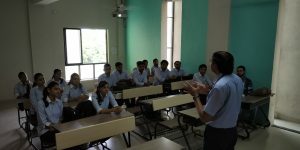 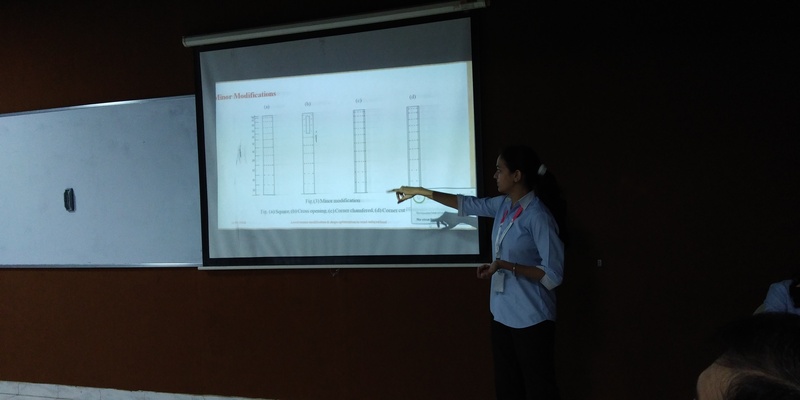 Civil Engineering Department organized A Technical Paper Presentation on “Recent Trends on Structural Engineering (RTSE-18)” for M.Tech Structural engineering students. 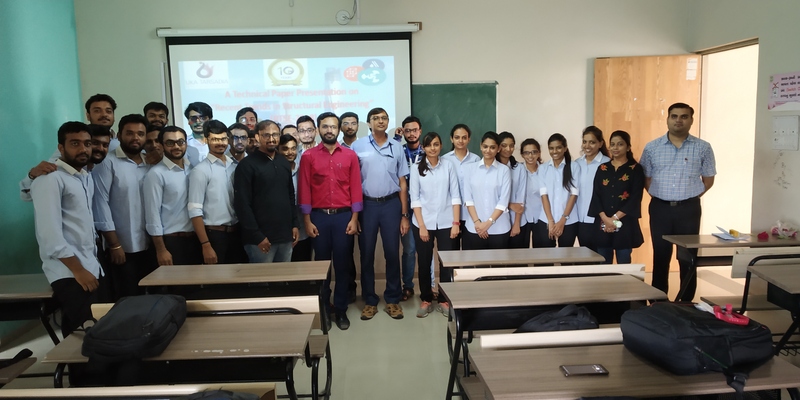 Assistant Professor Aditya Bhatt and Assistant Professor Grishma Thaker were the organizing secretary of the entire event. Assistant Prof. Anuj Chandiwala was the Technical Session Chair. Total 29 papers were presented by the students. The Venue of the event was Room no- C- 205 of SMRICA department. 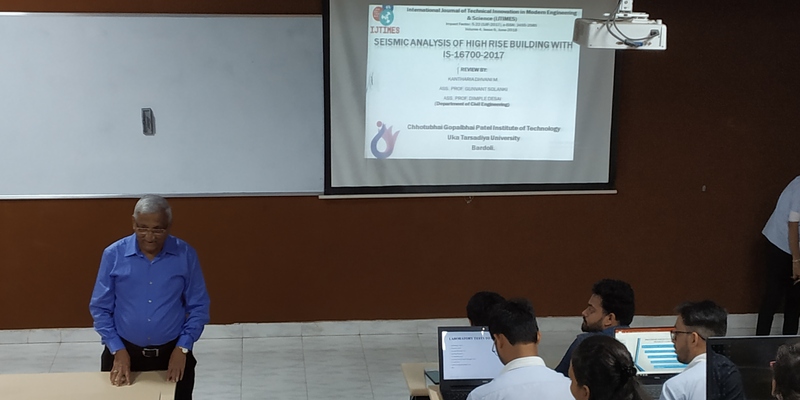 Students of 1st year M.Tech (structural engineering) ware effectively participated in that presentation. 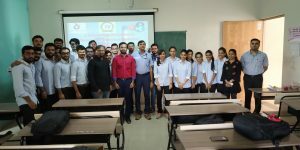 All the papers were published in UGC approved journal “International Journal of Technical Innovation in Modern Engineering & Science (IJTIMES)”.